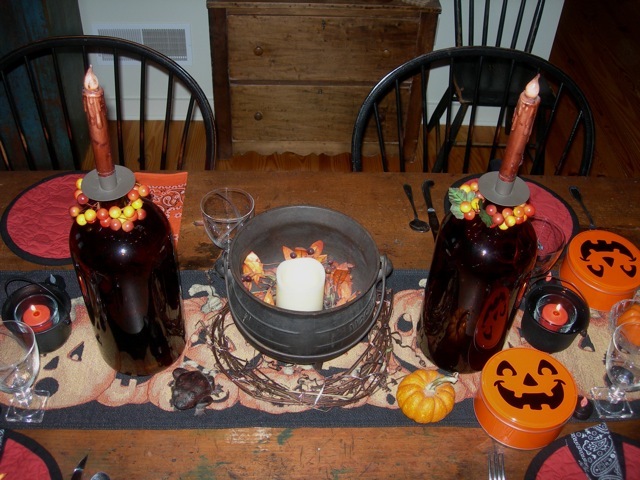 This past Friday I hosted my annual Halloween breakfast for my fellow Breakfast Club ladies. I love doing this and look forward to it all year. My creative focus was on this during the past week, except for making a Down to Earth rug pattern for a customer. I chose my breakfast menu carefully, weaving together dietary restrictions, the ability to prepare most dishes the day before, and adhering to the holiday theme. Making an interesting table is also of upmost importance. I would love to have a job making party favors, because I love details! I’ve shared photos below. After we finished breakfast and drank up our Bloody Elviras [mine was a virgin Elvira, because I was the designated driver], we all headed out to Campbell’s Broom Shoppe in Loysville, PA. Well, it’s not exactly in Loysville, but that’s what their address says. One can never have enough brooms, so I did come home with a few. What is next? I’m not sure, but I do have several things that need to be started. Time will tell. Today I am a year older. I am always amazed that I got to be this old so quickly. Several years ago, I decided to spend my birthdays honoring those whom I used to know, who didn’t live to be this old. I am feeling grateful and humbled. There’s a lot of beauty out there and in remembering those who now walk among the stars. 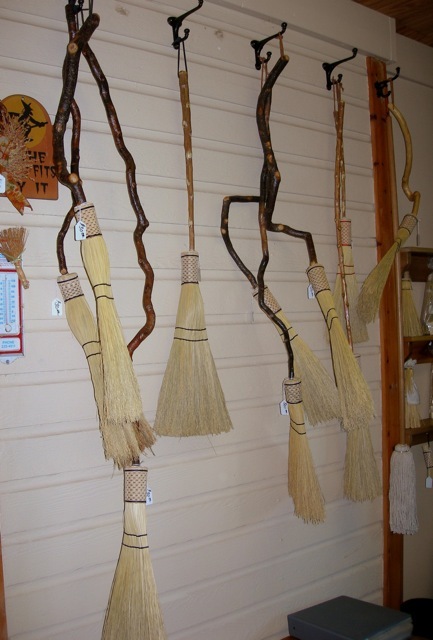 A few of the creative hand-made brooms at Campbell's Broom Shoppe.